At Jesuit High, we have witnessed more than our share of athletic and artistic excellence, especially in the 25 years since the school went co-ed. But the last few weeks has taken us to new heights—the place where legends are made. In the classical tradition, epic poems were composed by bards to trace the deeds of heroic figures who overcame obstacles and ferocious foes in order to carve out the history of a people. The last few weeks have brought us heroes on an epic scale. 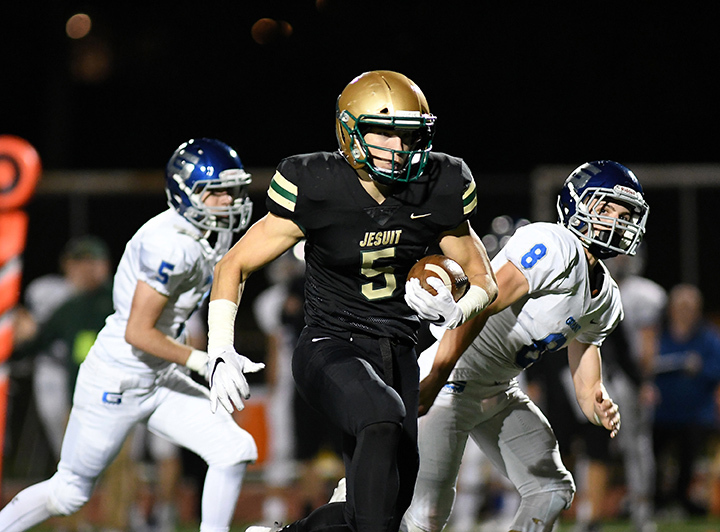 The level of athletic success we enjoy at Jesuit High is unique. I am writing this missive from Phoenix, where I am attending a meeting of Jesuit high school principals from around the US and Canada. Most of them have superb athletic, drama and music programs. But they all know that Jesuit-Portland's success is at a different level. Every team in every high school pours out their sweat and often blood and tears, but there is something very special about teams that compete for championships. This year, so far, out of five state titles on the line, we have won three and had two runners-up. We can never take that for granted. I had the privilege of watching those famed women's soccer teams from 1994-99 that we just inducted into the JHS Hall of Fame, as well as last year's terrific squad led by Sydney, Sophia, and Emma. But we have never seen a team dominate like this year's women's team did. 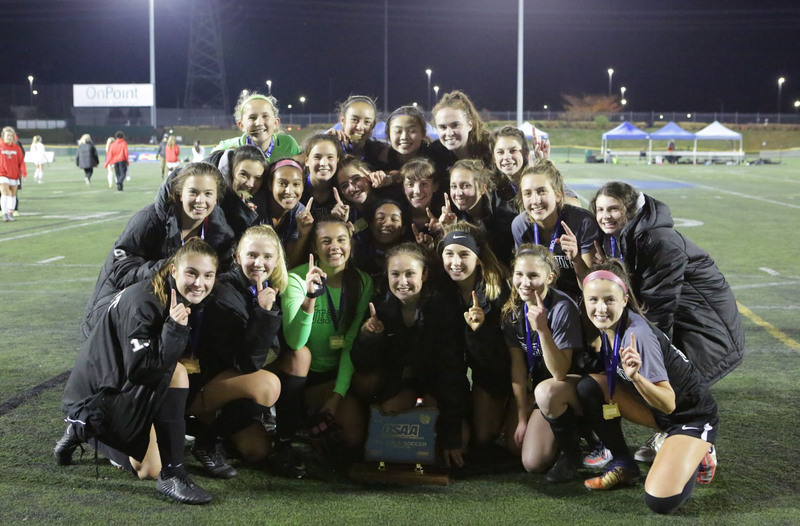 Their blistering run through the state will go down not only in Jesuit lore, but in Oregon and US soccer history. Two years without a loss; #1 in the Nation. Watching Katie Duong and Callan Harrington and Jaiden McClellan and friends play was like witnessing a magnificent symphony come to life on the field. And what to say about our guys' soccer team? To fight through injuries the way they did, to have the regular season they had, to prevail in double OT in three straight playoff games, to travel to Forest Grove twice because of the first "fog-out" in living memory, to win in PKs in heart-stopping fashion twice... Again, we have seen a lot of amazing men's teams, but never that. The number of gut-checks these guys experienced was enough to leave even the fans gasping--how did they keep playing the way they did? What incredible fortitude they showed! I could go on (and will): The volleyball seniors' heroic visages have graced the door of my office all year, because they represent to me the best of not only athletics in Oregon, but the best of Jesuit High School in terms of character, grace, and grit. Watching Rose and Alyssa and Brooke and Erin and crew perform, with pure athleticism and unfettered joy, was a privilege of epic proportions. How much fun was this volleyball season?! And what of our cross-country and football teams? 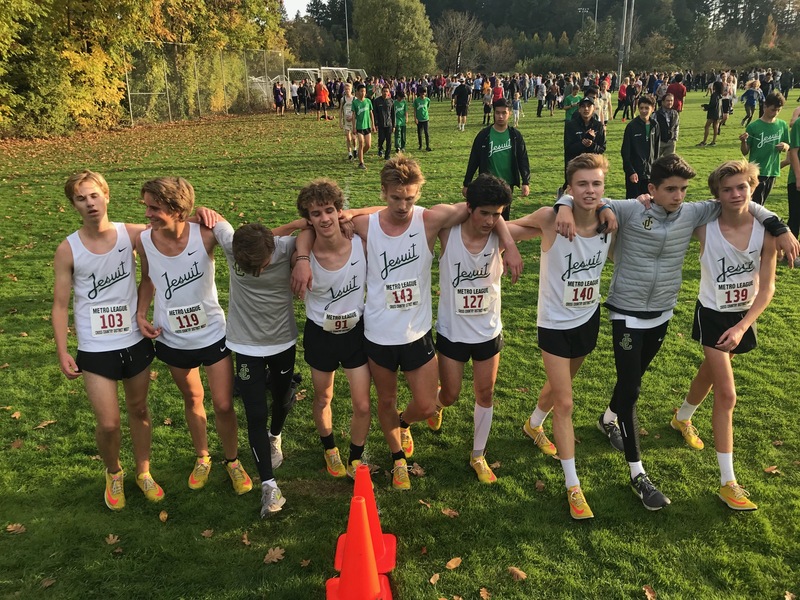 The only reason that our men's XC team tied Central Catholic for first (only to graciously accept second place) is that several of our runners gutted out the last half mile and passed a bunch of their opponents, even as their bodies were shutting down. The women performed equally heroically. 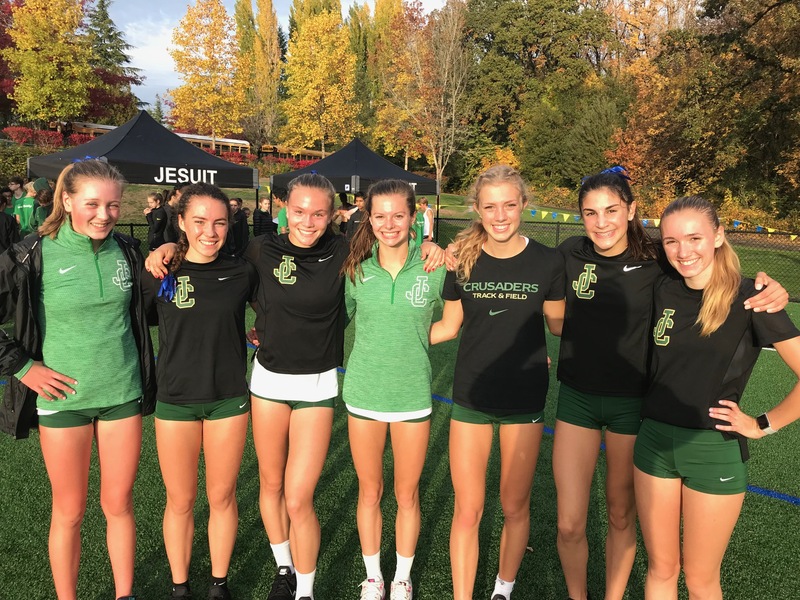 Last weekend, running under the Crusader Harriers moniker, members of our women's XC team qualified for Nike Team nationals by beating the #5 and #11 teams in the US at the Boise relays, in an incredible feat that will go down in the annals of the best cross-country program in the state. And our football team is still rolling, getting better each week. Did you get to see The Curious Incident of the Dog in the Night-time? Again, I have witnessed MANY superb performances in the Moyer Theatre, but Johnnes Kromminga and Kenzie Gross, along with the Langleys and Nick Pliska and Kate Haarmann and cast and crew just killed it. Folks in the audience were both laughing and weeping at the end, as Johnnes ripped through a series of mathematical equations with equanimity, already having turned in a performance for the ages. In the face of such extraordinary excellence, words fail, and we are left only to applaud. Well, perhaps one word will do: Epic.